Oliver Daniel is a new face in the scene. 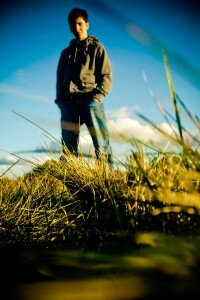 He is the force behind Allthingstrance.com and the creator of the newly released The Uplifting Trance Production Guide. This comprehensive guide leads aspiring trance producers on the way to the top. Recently Oliver got covered on Beatsmedia, Usa Trance Movement, iVibes, DJ News, EDM Update and many more. So therefore, we wanted to know a bit more about his background and his drive. What attracts you specifically into trance as opposed house or dubstep? The Emotional aspect: Trance can make you cry, smile, laugh, and dance all at the same time. Trance has no association with race, color, or religion. It is something you truly have to enjoy, not like some forms of music where most people don’t know what the lyrics are, trance is another world of music – that’s why for me trance is like no other music – however unfortunately still only a minority of people enjoy it. Is there one artist that really stands out to you when it comes to the trance genre? Tell us why? One artist? That’s incredibly hard. There are so many whose music I admire and respect so much. Above and Beyond, Gareth Emery, Ferry Corsten, Daniel Kandi, Super8 + Tab, Arty the list goes on and on. I suppose if I really had to pick just one though I’d have to choose Armin Van Buuren. I’d choose him not because I think his music is better than the others, but because of everything he’s done for the scene. His tracks, his radio show, his support for other artists is unrivaled. Finally his was the first trance music I ever heard and he was the reason I discovered it. You are the author of The Uplifting Trance Production Guide, a product tailor made to help produce trance music in Logic Pro. Could you share one production tip with our audience? In terms of production tips one important one would be to make sure your sidechain is set up properly. Don’t have your sidechain trigger as the same track as the kick but create a duplicate track and send the output to sidechain and then mute the track so that you don’t hear duplicate kicks. However the main tip I could give would probably be dedication. Keep at your tracks and don’t give up! What is the most tricky part of producing trance in a good way? Probably mixing the kick and the basses. Getting the right balance is hard but when it comes together your hard work pays off. Also trying to come up with a good melody can be very frustrating! Name 5 essential elements a good trance track should have. The Emotional element – the emotional aspect is vital in a good trance track, A great breakdown, A memorable melody, The feeling that the track’s constantly going somewhere – the track should never get boring and finally a great buildup. If someone proves good at producing trance, does that mean switching to another genre technically would be an easy task, or do you feel each genre of EDM has their own specific production techniques native to that style? That’s an interesting question – I do feel that every dance genre has its own style, its own production techniques that are unique to that genre. Having said that, if you are skilled at producing one genre you can apply those same principles to other genres and can probably create decent tracks in any genre of EDM. Tiesto for example moved genres. Although it’s probably easier to switch from trance to house or more commercial music rather than from trance to dubstep or drum and bass. Also music is constantly evolving and new genres emerge such as the controversial “trouse” music. Thus artists blend aspects from different genres and push the boundaries of what is considered trance. For example trance now is very different to trance 10 years ago and very different to how it’ll be in 10 years time. For example you have artists such as Andrew Bayer releasing tracks like “Nexus 6” which was released on anjunabeats yet blends aspects from trance, progressive, breakbeat etc. What is your second favorite genre of EDM? Progressive house artists like Jaytech, Sunny Lax, Suspect 44 and Anjunadeep releases. Having said that if I enjoy a track it doesn’t really matter to me what genre it is – I like dubstep tracks and tracks from Deadmau5, Avicii etc. How do you predict the sound of trance will evolve over the next 10 years? As I said above, I predict that artists will continue to blend aspects from different genres redefining what is considered trance. I think that tracks such as “Trespass” by Andy Moor and Armin’s “I’ll Listen” reflect the way that trance is evolving. Obviously I don’t want the old trance to disappear – I’d love more tracks like the classic Oceanlab releases for example, however it is necessary for music to evolve. As Armin says “don’t be a prisoner of your own style”. However I believe that there are certain drawbacks of labelling tracks as certain genres and I believe that if you like a track you shouldn’t feel the need to worry over whether its trance or progressive or ‘trouse’. Were you surprised Armin Van Buuren took the number one spot again in the DJ Mag list? No, I voted for him 🙂 In all seriousness though, I do think Armin deserved to win the title back for the fifth year. However for all the good aspects of the poll there are a number of drawbacks. The poll has become more of a popularity contest rather than a talent contest. Furthermore DJing and music in general is about enjoying the music and putting on a great show. It’s hard to compare so many artists across so many genres and then declare one to be better than another. That’s not really what the music’s about. I’ve been given many great pieces of advice, I’m not sure about the best. One that comes to mind is something one of my old headmasters used to say to us. It was one Japanese word: Ganbatte: Go for it. I don’t really have a favorite series to be honest, I just watch loads of comedy videos, like family guy clips etc. One series that I did used to watch however when I was first looking for production tutorials was called ‘Boyinaband’. There were lots of great tutorials on music production in Reason however they weren’t quite on the music I was looking to create. It’s impossible for me to pick a favorite. I really liked Reykjavik but there are so many others I’d love to visit. You have a website called AllThingsTrance.com. What can visitors expect content wise from the site? Basically the site keeps you up to date with the latest tracks and news in the trance world. And in the future there will be spotlights on lesser known artists including info about them and links to their music. Not sure really, there are loads of great artists, possibly Coldplay though – I really like their music and was lucky enough to see their amazing performance in the Paralympics closing ceremony. I’d have to say software. You can do pretty much everything that you can with hardware and its more convenient, you can simply take your laptop with you and produce anywhere in the world. That said, every piece of hardware and software has its own advantages and limitations and it doesn’t really matter which you use as long as you can get good results. I don’t think software will completely replace hardware, certainly not any time soon. Yes! 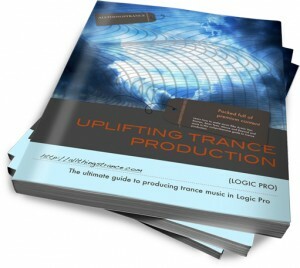 Good luck in your own productions and make sure you remember to check out the guide on http://theupliftingtranceproductionguide.com Thank you!